Beautyqueenuk | A UK Beauty and Lifestyle Blog: Introducing ChattyFeet! Today I am going to share with you a product which even now is making me cackle and its name is Chattyfeet! 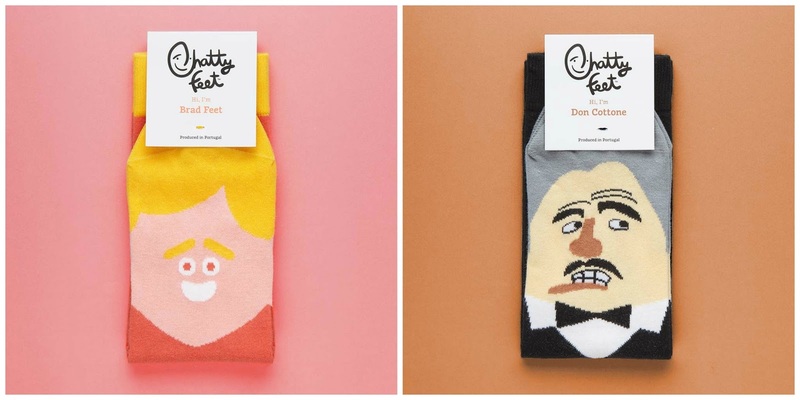 ChattyFeet are socks which have the sole intention of making you smile and cheer you up with funny character on your toes. Who and what are ChattyFeet? "When we were kids we thought being a grown up would be non-stop computer games, seeing our friends, going into space, eating waffles and getting to pick all the songs on long car journeys. Then when we actually arrived in grownupland we found out it actually involves paying rent and having a job and fixing the dishwasher and making PowerPoint presentations. Boo to that! So we decided to stage a secret rebellion against boringness, starting from the ground up (literally) with our funny ChattyFeet socks. 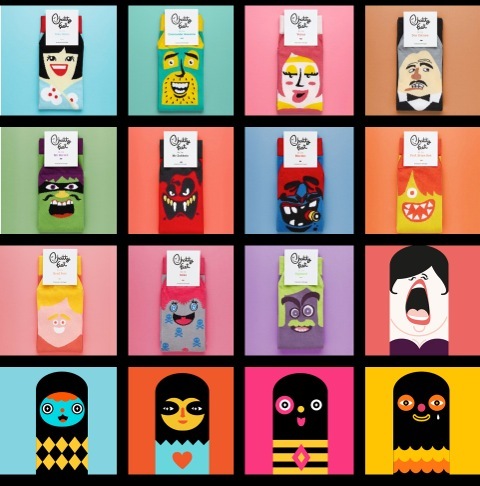 Produced in Portugal, each sock puts one of our quirky characters at your toes. That means you can express yourself through ChattyFeet socks the second you kick off your shoes as well as enjoying all the other bonuses of socks like warmth and being able to slide across the floor like Tom Cruise in Risky Business..."
There are three different options to choose from - Men, Woman or Children and within each section are the choices of socks from which you can choose and this is what made me cackle, the socks have names. Allow me to introduce you to Brad Feet, Don Cottone the Sockfather. I chose Yoko Mono which you can see below. These socks are made using 75% cotton, 23% Polyamide, 2% Lycra and they are not only comfortable on the feet but they are also washing machine friendly. Costing £7 per pair they are quite expensive but do make a good gift for people because they are quite quirky and usual. They come in a variety of sizes, all of which you can find on the website under each sock option. What do you think to my socks? Do you like the character names? ha ha I love them!! This is the sort of thing that would really cheer me up in the office...to look down and see them smiling up at me! Brilliant! These look amazing. They look like the perfect Birthday present or Christmas stocking filler. I adore there funky design. Fab! I love a good pair of socks that are a bit fun - and these look just that! He he - these are great - pinned and bookmarked for future reference! A quirky gift solution - I like them! These are so quirky and cute. I think they'd make an ideal Christmas gift. I love socks, even when it hot in summer. The most funny and colourful the better. I must get some of these babies for myself. I love my Chatty Feet socks! These are amazing! Definitely make a great gift for someone!